The qualifying session was an absolute stunner. In women class, it was all about the two ladies – Martina Bravencová and Aneta Šacherová. It was Martina posting the fastest lap time eventually being on pole just 0.014 from Aneta Šacherová in 2nd place. These two were on top also during heats so huge head to head battle was expected in the finals. Last race winner Aneta Šacherová found better rhythm in both of the final motos and made it for a double victory. Martina Bravencová finished 2nd and Anya Colley scored third consecutive podium with 3rd. Just 0.018 seconds decided the men class qualifying shootout between Lukáš Záhorský and last year’s runner up Sebastian Kubinec from Slovakia. It was Záhorský taking the pole and Slovakian hopeful Kubinec stayed confident for the first 2018 victory battle. 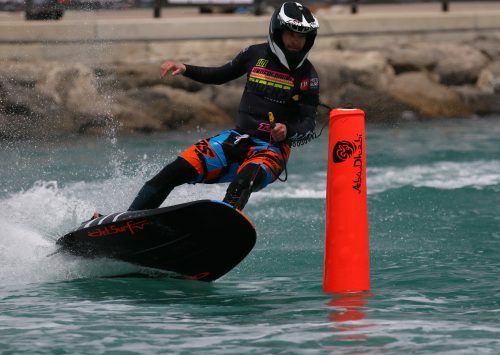 What a surprise came from Jetsurf Mexico Team – Juan Pablo Urquidi grabbed 3rd fastest qualifying spot. Záhorský claimed his role of a favorite and dominated all heats and so the finals. Leaving Korea with full points scoring in his pocket, Captain Candy’s rider is another step closer to Championship glory. Sebastian Kubinec showed a great performance and finished 2nd while Pavel Heiník from Prague Jetsurf Club took his first ever podium finishing 3rd. 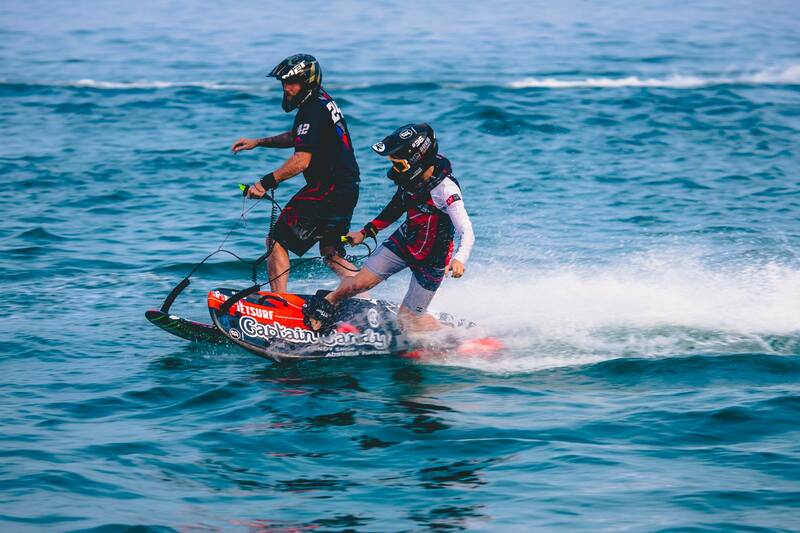 Home rider Park Jungyoung debuted in MotoSurf WorldCup and advanced to Final A right away. He’s left a strong mark even among the best of the best and brought fantastic 6th to Jetsurf Korea Team. The Asian tour of MotoSurf WorldCup is done and dusted. In both classes, leaders seem to have a comfortable gap but there is still one more round to decided. 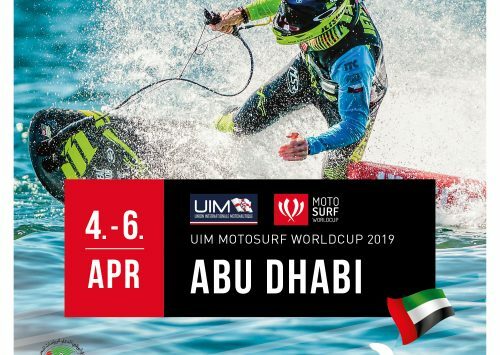 Stay tuned and watch MotoSurf WorldCup in Naples, Florida, USA on 22nd October.